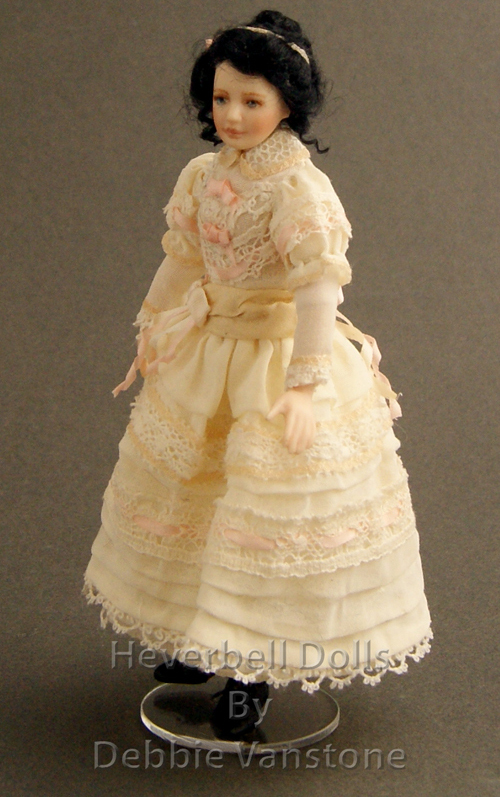 Althea is a young lady dressed ready for an evening out with her parents; The pretty dress is made from cotton batiste, a beautiful light weight fabric ideal for miniature garments; I have used lace and ribbon in abundance; Althea's pretty black curls are finished with a contrasting hair band. 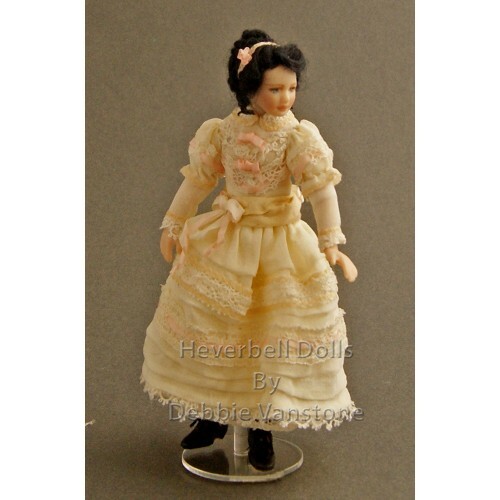 The little boots are handmade and under the skirt are appropriate undergarments befitting the era. The doll’s height is approx. 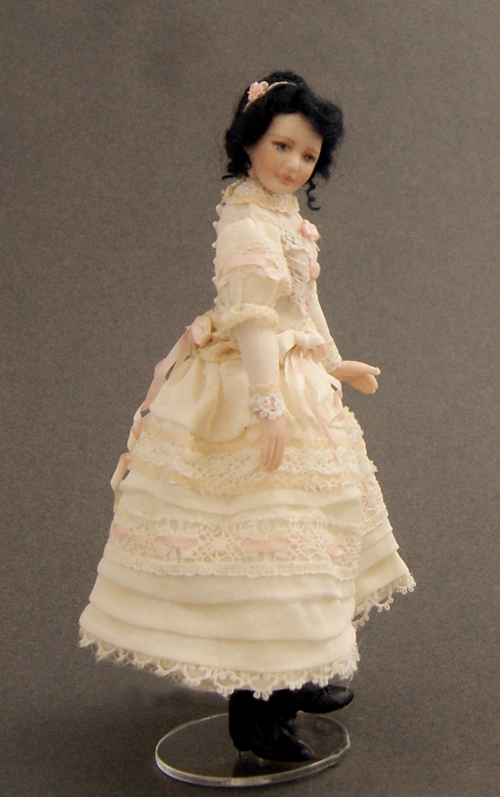 4¾”; Predominantly she is made from porcelain with the tops of the arms and legs being soft (this aids movement), Althea’s head can also be positioned. 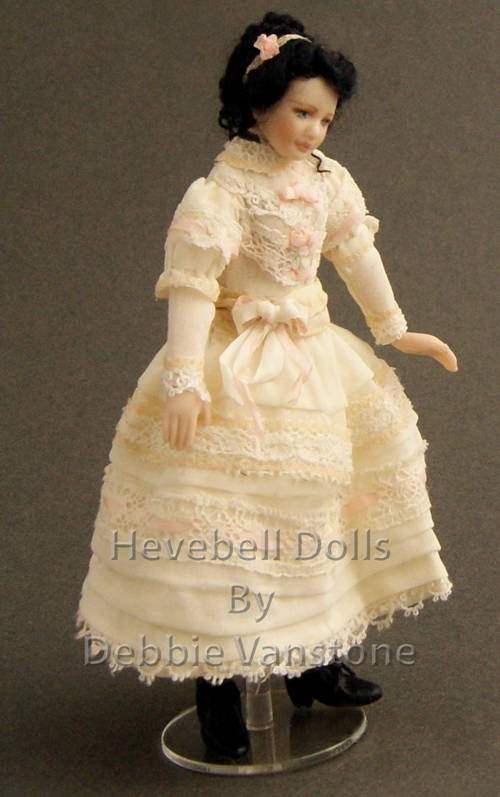 This doll is for adult collectors and not suitable for children under 14 years.